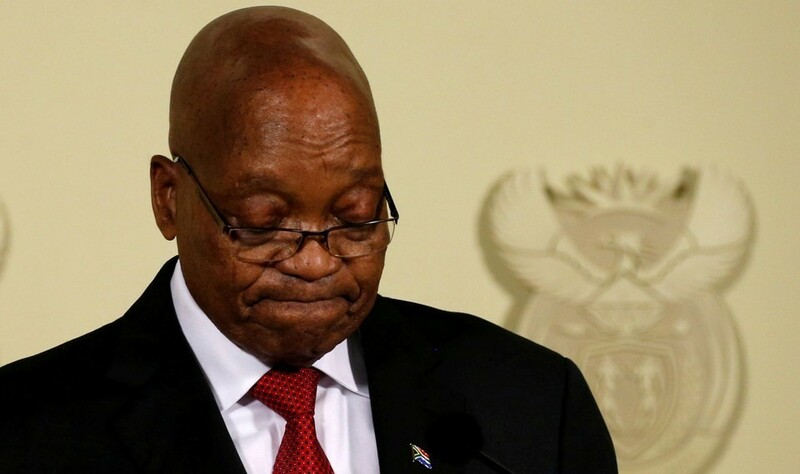 South Africa's President, Jacob Zuma has resigned amidst intense pressure from his own party, the ANC. The 75 year old announced it in a televised statement late Wednesday, after intense calls for him to do so by his own party who threatened to recall him if he fails to resign by Wednesday. It ends the tumultenous reign of Mr. Zuma, who has been in power since 2009. In the televised speech, he started by paying tribute to those he had worked over the years and insisted he was steeping down to curb any violence, or division amongst the rank of the ANC. "Nolife should be lost in my name and also the ANC should never be divided in my name. I have therefore come to the decision to resign as president of the republic with immediate effect." "Even though I disagree with the dicision of my organisation, I have always been a disciplined member of the ANC." "As I leave, I will continue to serve the people of South Africa as well as the ANC, the organisation I have served...all of my life." Cyril Ramaphosa, Deputy President will take over the reins of the Country and is the favourite to be President in next year's elections. The ANC, who were one of Zuma's fierciest critics, also released a statement, that said: "President Zuma remains a principled member of the ANC. The ANC wants to salute the outstanding contributions he has made." The statement also said that he resignation has has provided "certainty to the people of South Africa." Mr Zuma's President was rife with allegations of corruption and mismanagement of the of South African economy.